Last week while working in the studio, I looked up from soldering and saw this in the sky. Love. I think the sky is on to something. Dotted is the Sale Item of The Week. She's a favorite of mine. 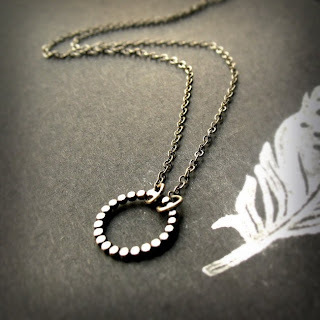 Wonderfully rustic sterling silver great for everyday wear and wonderful for layering. At $23, she's a steal!